In this edition of the SA parkrun Newsletter, 78 year-old Shongweni parkrunner, Willie van der Vyver, dreams of running the Comrades marathon in 2015. We hear from Nahoon Point and Root44 parkrun. 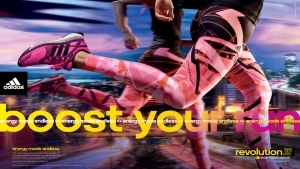 Look out for the adivan at Port Elizabeth, East London and Bloemfontein parkruns! Catch up on news from Discovery Vitality and download the September edition of the Modern Athlete digi-mag! Happy reading! 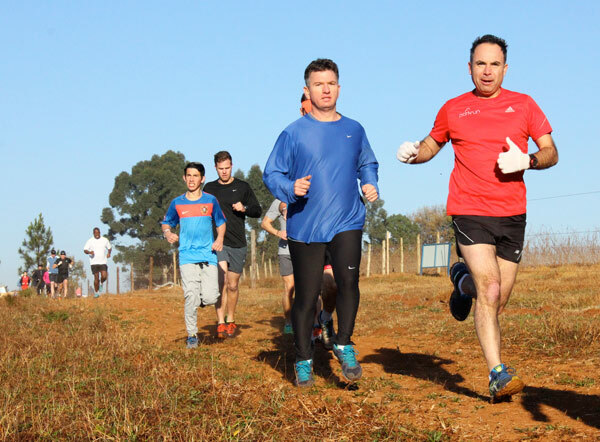 On the 16th August Mike Tippett and his very efficient team launched Albert’s Farm parkrun in the shadow of Northcliff Hill in Johannesburg. There some great incentives for starting this parkrun; First of all the community in the area had been very vociferous in calling for their own parkrun. Secondly it was felt that by starting a parkrun there some pressure would be taken off Delta Park parkrun whose numbers have grown exponentially in recent months. Finally and most importantly Mike wished to start a parkrun in memory of his wife, Leslie, who sadly died from cancer a few months before and who was a great lover of parkrun. On a grey spring morning with welcome rain threatening a boisterous crowd set off to try Mike’s testing course. It proved to be a lot of fun, where runners tackled steep climbs and descents, winding trails and streams in this beautiful but little known Johannesburg park. The finish down an avenue of trees is particularly memorable and everyone agreed that Albert’s Farm parkrun will prove to be very popular. With numbers increasing at all our parkruns please could we ask parkrunners to try to get to their parkrun venues with ample time to spare and to park in a neat and orderly fashion. We have had some roads blocked by late arrivals. We would also like to encourage slower runners and walkers to line up at the back of our parkruns just so they can move away more efficiently. In addition please allow others to pass efficiently if they are running faster. Keep left and pass right. Of course no one parkrunner is more important than others at parkrun, but a little courtesy at the start of our parkrun will ensure everyone has an enjoyable experience. Keen to see the magic of Sydney Harbour, the Great Barrier Reef, or the view of Auckland from the Sky Tower? Vitality members can now save up to 35% with Qantas, when they fly to one of eight destinations in either Australia or New Zealand. For more information, go to www.discovery.co.za or book on www.kulula.com now! Remember to log in as a Vitality member. adidas Boost running shoes have revolutionised the running world with its ground-breaking cushioning technology, BOOST™, that provides the highest energy return in the running industry, and has set a new benchmark for running footwear. BOOST™ cushioning technology has been rolled out to most of the adidas running footwear, where you can now find them in updated colourways for men and women in the Energy Boost, Supernova, adistar, adizero, Revenergy, Response and Sonic running footwear families. adidas South Africa’s bold initiative, Revolution 30, is back too and kicks off across all adidas Concept stores, selected Totalsports, Sportsmans Warehouse, Cross Trainer, Tekkie Town and other running specialist stores from the 13th August to the 31st October 2014. I was born in Theunissen in the Free State on 14 September 1936, a small little town close to Welkom. At school we had to participate in all sports. I loved to run and tried out all distances, but liked the one mile, 880 yards and 440 yards. But running was my life and many evenings after supper I would go out and take off in different directions every day. After school I joined Military Gymnasium in Roberts Heights (Voortrekker Hoogte) in Pretoria. It was there that I was introduced to athletics in a more professional way. I became quite an accomplished amateur boxer, winning some championship bouts and many cups. At Military Gymnasium I ran a three mile event in Pretoria against the legendary Wally Hayward, Jan Barnard and Michael Robinoivitch – all SA champs. Needless to say, I did not win any of these races. After that I moved to Bloemfontein where I played rugby for the first team of Collegians and Free State trials. I trained in the evening to run the Round The Hill race in Bloemfontein. This was my biggest disappointment ever. At the halfway point, I was next to Jan Barnard in 1st position, with Jackie Meckler in 2nd. Those days there were no seconds to give water or massages. You just ran and hoped you could avoid the spectators. Well, I did arrive 1st at the end but in an ambulance after I got tripped by an eager spectator. Then to Welkom. I played rugby for Welkom Rovers then as captain for Allan Ridge. In the meantime I was running every day because I had set my sights on running the Comrades. No training but very fit. This was in 1963 and that year tragedy struck. On the way back from a match a truck swerved across the road and my youngest brother was killed. I had a broken collarbone, ribs and head injuries. Then to Durban where I met my wife in 1971. This time I was very fit and went for runs even on my honeymoon, because this time I wanted to run Comrades in 1972. But that was not to be. On 13th February 1972 another car accident left me unconscious for more than a month. My wife was told that it’s only because of my physical state that I was still alive but there was doubt that I will ever be fit and healthy. But the doctors did not know my Lord. It took almost 4 years to the day that I was back to normal. But running was not on my mind because in this accident I lost one third of my left lung. That was until years ago when I started running again, slowly but surely. God willing with the help and support of parkrun, Glen Meaker and the TEAM I will run Comrades next year to fulfil a lifelong dream. Two amazing and extremely active years have passed for Nahoon Point and celebrations seem to flow virtually every weekend. Recently Nahoon celebrated 100 runs to great fanfare and the unavailing of the “Black Banner” and thereafter followed the big second anniversary. Individually the first man in the Eastern Cape and at Nahoon Point, Noel Acton, ran his 100 parkrun and he has every right to feel like a rock star, such has been the euphoria of all his fellow travellers and the pouring out of genuine appreciation for all he has meant to parkrun in general and to Nahoon Point in particular. Just one week later the next two men to achieve this milestone had an equal amount of excitement surround their runs. 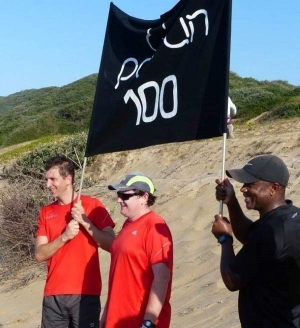 Craig Giese ran his 100th at Nahoon Point, while Henry Pienaar who started his parkrun career at Nahoon and qualified Red there, then migrated across to the west and Kidds Beach, where on Saturday he ran his 100th. All three men featured in local media to one extent or another. The local knock and drop Go Express and the regions largest daily newspaper, the Daily Dispatch, both offered coverage, while community radio station, Wild Coast fm, interviewed all three men on live radio. Acton’s wife Annamarie is next in line to tackle a 100th run and the regular run director at Nahoon will no doubt celebrate in style. Meanwhile the Red Brigade gets ever stronger and the banner is at work every weekend. The volunteers too are beginning to notch up 100 Saturdays with Danny Mostert, the tokens man and also a regular at set-up and break down, already there; Tony Viljoen one of two regular timekeepers on around 97 and his counterpart, Steve Bailey not too far off the pace either. With winter sports approaching an end it can be expected that numbers are going to be on the increase again and the year ahead should be another cracker. Root 44 parkrun is finally producing parkrunners who are reaching their 50th parkrun! It was a hotly contested race to see who would go ‘RED’ first between the boys, but first to receive this honour was Run Director and time keeper stalwart, Chris Visser. The following week saw our loyal Doyle brothers, Trevor Doyle and Colin Doyle, running their 50th parkrun together. The entire Doyle family are parkrun fanatics always making sure that if they are not at Root 44 on a Saturday, that they are able to attend another parkrun somewhere else, so not to miss out. They are always on hand to help with volunteering, move a tree or even just moral support. With Spring approaching and the sun starting to rise earlier, so are our parkrunners, and attendances are back in the 400’s. It is also starting to get warmer up on the hill climb so if you need to, bring some water with you. There is a water station for Fido at the finish and a tap for you. Save the date: 6 September @ 08:00 Root 44 parkruns’ Annual Spring Run! Be as colourful as you can. Best dressed wins a prize! 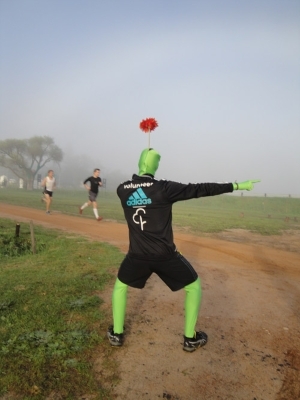 Our Greenman will be there to cheer you on! You guys can be so proud of yourselves. parkruns are such an amazing way to bring people from all walks of life, all levels of fitness, each with their own goal. I have been running, for 22 years now and am still competing in my age group, therefore, follow a training programme. I have only done 4 parkruns, but have absolutely loved the concept. It is so easy, so quick and no money exchanging hands. Just you, your watch and your goal. I just smile when I see old, young, fat, thin, fit, not so fit, dogs, wheel chairs and whatever, all together, doing the same thing. It is such a great motivator for someone who does not feel comfortable entering official races and once they do their first one, they then set themselves goals, encourage friends and family to join them and have a blast. I just love these runs and just love seeing all these wonderfrul people achieveing the same goal. Good on you all and to the wonderful volunteers who make it possible each week. The adidas Women’s Day activations were such a hit in Johannesburg and Cape Town that adidas has decided to extend its women’s road show into Bloemfontein, Port Elizabeth and East London in September, giving lady runners the chance to test a pair of boost running shoes and have a complimentary foot scan by the adidas technical reps. There will be lucky draw prizes whereby all our lady participants stand a chance of winning a new pair of adidas running shoes. We look forward to meeting you soon! In this edition of the SA parkrun newsletter, we take a peek at the launch of new parkruns with the most interesting names at all your favorite holiday destinations. A word of encouragement from a parkrunner who is celebrating her life and fighting cancer – amazing motivation for us all! St Francis parkrun shares their latest news. Don’t forget to take a look at the August edition of Modern Athlete digi-mag! As spring looms on the horizon parkrun numbers in SA are once again starting to pick up. Last week there were nearly 2500 new registrations. On the one hand this is very encouraging but on the other slightly worrying as many of our parkruns are already quite large. To relieve the strain we are launching new parkruns quite frequently but in some cases this just seems to spread the parkrun word. 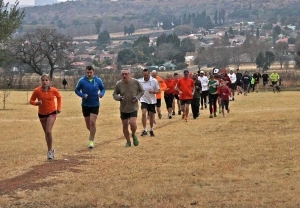 Recently we started Piggly Wiggly parkrun in the KZN midlands. On an ice cold winters morning about 74 runners set off across the mowed brown winter grass. (Piggly will be stunning in summer when the flowers are out and the first rains have turned everything green). This parkrun is not for the faint hearted and the sting in the tail of this run is not a cute little curl but a tough hill that reduces most to a walk. The specially built finish tunnel is a pleasant surprise and a tribute to Rudi, Greg and their team. Our parkrun journey then took us from the KZN midlands to the Indian Ocean and the following Saturday we launched Amanzimtoti parkrun under the able leadership of Claudine Farr and her enthusiastic volunteers. Pre-parkrun registrations warned us that this could be a very popular parkrun and so we weren’t surprised to welcome nearly 200 parkrunners. What was really encouraging was to note that well over 100 of these were novices. 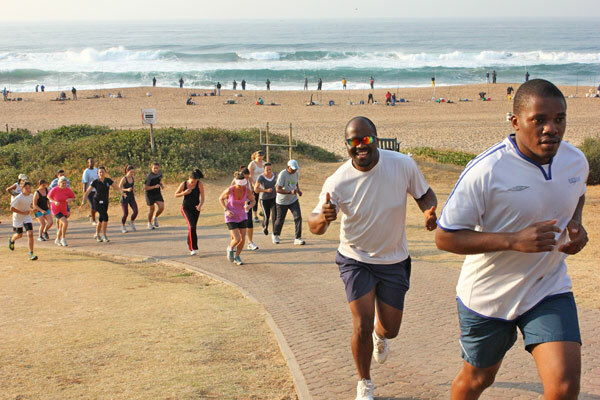 Amanzimtoti parkrun is a run of two distinct halves. The first is run on easy going brick paving. The second half is run on thick soft beach sand. This writer gave up trying to keep his shoes dry after a while and just ploughed a path through the sand and breaking waves. Amanzimtoti parkrun is a real challenge and judging from registrations the “Toti” people are rising to that challenge. It seems that parkrun South Africa doesn’t just help to make people happy and healthy. We also provide drought relief expertise when required. After months of drought in Klerksdorp, North West Province, we parkrunners danced a little rain dance and the heavens opened and ended the drought. Congratulations Sandra and George. 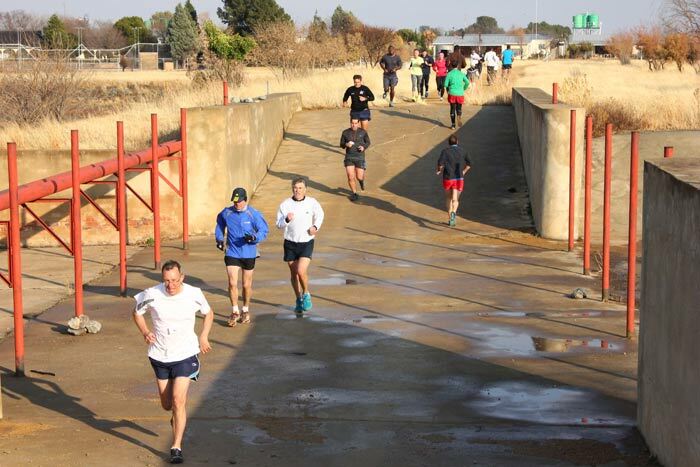 We have no doubt that Klerksdorp will be extremely popular with visitors and locals alike, and thanks to parkrun there may be the odd puddle to dodge. The Cannibal’s Cave event directors, Muzi and Lizzy Mabaso contacted us to report that they have been deeply touched by the enthusiastic feedback they are receiving from overseas parkrunners. This Saturday they welcomed parkrunners from the UK, Australia, Denmark and New Zealand and they reported that the interaction between local runners and the visitors was very moving to watch. Cannibals Cave is already proving to be a very popular parkrun for visitors from South Africa and overseas alike. Event Director, pre-event setup, post event packing, marshals, equipment deliver & storage, timekeeper, position tokens, funnel manager, barcode scanner, results processor, token sorting, announcements/communication, article writer/report writer, photographer, new runner briefing, social media co-ordinator and more. 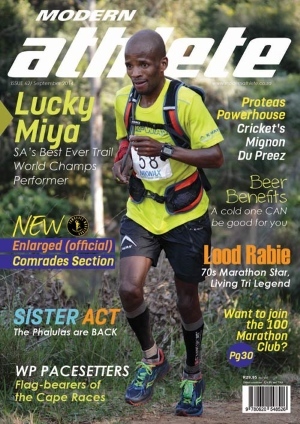 The August edition of our Media Partner, Modern Athlete Magazine is available online now! Subscribe to Modern Athlete here. The road I am currently travelling in my fight against breast cancer. In December 2013 I thought the glands under my arm were swollen as a result of a spider bite on my foot. However, the bite healed but the swollen glands extended to my breast. Reluctantly I visited the Doctor, this was only my 3rd visit to the Doctor in 5 years, the 2 previous occasions were for flu. You can imagine my concern when I was referred for a mammogram to be followed by an ultra sound and biopsy; I received the shock of my life when I was diagnosed with stage 3 cancer. My Oncologist recommended a mastectomy to be followed by 6 months chemo and following that, 5 weeks radiation. This treatment would take from January to October to complete. My family and friends thought I had it all wrong; they too were distraught at the news. I could not believe this was happening to me, I never felt sick, I was doing a considerable amount of cycling, I was walking every day, I was running the Thursday night Hillcrest Villagers time trials, I had started Shongweni parkrun at the end of October 2013, and was really enjoying my new found sport. I had a 5 year bucket list in place, which I was already starting to tick off, this news shattered these plans, I was devastated by the diagnosis! I was convinced that there had to be an alternative. I researched all the information I could get my hands on, I became totally overwhelmed with all the information and advice people were giving me and decided I would follow the advice of my Oncology team. On the 27.01.2014 I went ahead with the surgery, which went well, but I could not stand being a patient at home, I returned to work after 2 weeks, I wanted my life back to normal, but realised for the next 10 months I was going to have to make compromises to my previously well made plans. There were two factors I would take into account: Number one – The word of my Oncology team and Number two – I would listen to what my body was telling me. My Doberman, Rocky did not want to give up his daily walks, so we resumed our 6km walk per day and I started chemo therapy on the 4.3.2014. The side effects of the chemo were awful, but for my peace of mind I had to try and do everything I previously did. When my hair started to fall out after 6 weeks of chemo, I had my son shave if off for me, I was going to take charge of this situation. 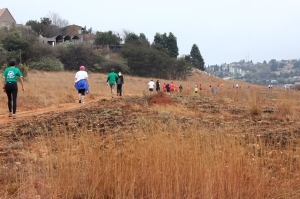 I went back to Shongweni parkrun on the 22.3.2014, and made a resolution that if I could not run I would volunteer, I would not miss a Saturday unless I was going away. This provided me with a new set of goals, small but none the less a commitment to reach new goals. The support I have received at Shongweni parkrun has been amazing, I have made new friends, and I am entering other races as a result of it. Each month I try and add a challenge or two to my program. This month I did Forest Hills Spar 10km run … (Beryl ran an amazing time of 01:04:56 and looked superb on the day) and I have resumed my cycling. I would like to thank everyone involved in Shongweni parkrun for the support they have given me, they have motivated me ... and I encourage everyone to face the challenges we are given with a Positive Attitude and not forget the Power of Positive Prayer. My family, friends and colleagues have been my pillar of strength while travelling this road and … I thank you all. Roland Peacock ran his 50th parkrun with top SA masters hurdles athlete, Jannie Venter. Roland's wife, Lindsay, had the honours to bring Roland in with the flag, but in true St Francis style, used a golf cart! 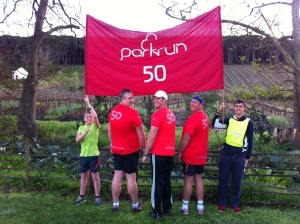 St Francis parkrun reached two important milestones in the month of July – the commemoration of the inaugural run of Saturday 13 July 2013, and the first runner earned his sought after red “50” shirt for running 50 parkruns. On Saturday 5 July Roland Peacock ran his 50th parkrun in very cold and windy conditions, and exactly 50 runners and walkers turned up to celebrate the big day with him. Peacock also volunteered on 48 of the 50 runs. Last Saturday, 12 July 2014, St Francis parkrun celebrated their first birthday and 80 parkrunners joined the festivities. Top runners for the year was again Roland Peacock in the Male division, and Yvonne Robb in the Female division. Felix Muchika scored the second highest points and Mike Morrison third. In the ladies division Pat Stark was second and Mandy Brent third. Points are awarded per run and per times volunteered. Lucien van Wyk received a special prize and certificate for the junior with the most runs, 25 so far. A special birthday cake marked the occasion and all enjoyed a slice. Participants could also win some amazing lucky draw prizes, sponsored by Custom Bikes, Trattoria San Francesco, Chokka Block, The Sunshine Lounge, Cape St Francis Resort/Hibiscus Beauty Spa, Liquid Lines Unsalted, USN and Dune Ridge Country House. A special thank you to these businesses. It is amazing how running and to a greater degree the parkruns unite people of all ages. I am a social runner and run when I can and participate in the odd half-marathon. This year I started running the Root44 parkrun with my daughter (of 10) who had never run before but decided it might be fun as a few of her young friend run it. Being her first run ever, we decided not to register initially as we were unsure if she would make it or enjoy it. Well, she ran the whole thing, got home, registered herself and Saturday is the one morning she doesn’t struggle to get out of bed. It is wonderful to share these mornings with her and we do a great deal of socialising en route. In your recent newsletter there was an email from a Peter Hawthorn. I am curious to know if this is perhaps family of the late Dave Hawthorn from Newcastle who was my late father’s (Hilton Howard) running partner. In his hey days, Dad did some wonderful and crazy things like the Comrades (several times) and the Sacred Marathon in Athens so I can relate to traveling for the shear joy of running. Dad was a huge inspiration to me and he was always very proud of any run that I participated in. I certainly feel very close to him when I run. He would have loved the parkrun concept. Thank you for your weekly newsletters. It is always interesting to hear about new parkruns. I will probably even make the trip down to Klerksdorp for their inaugural run on the 9th August since my mother, who is 73 and does parkrun when she visits me in Johannesburg, lives there. At the Uvongo parkrun I noticed an older gentleman completing the run. When the results came out we noted that he was in the 90-94 year age category. I was amazed. I subsequently learned that Mr James Sweeney is 91 years old and does the Uvongo parkrun every week. I don’t know whether he is the oldest parkrunner, but I thought it might be interesting for you to consider doing a feature in one of your newsletters on people like Mr Sweeney - Just a suggestion.